The name of her label is a marriage of ik or ‘one’ in Hindi and ai, which is Japanese for ‘love’. Merging casual cool with statement staples and relaxed anti-fits, Ikai uses a tech-meets-tradition approach with functionality at the core. Known for the signature flowy tunics and boxy jackets that are hard to pigeonhole (but easy to tag! ), the brand epitomises all-round comfortable clothing that’s feminine yet edgy. 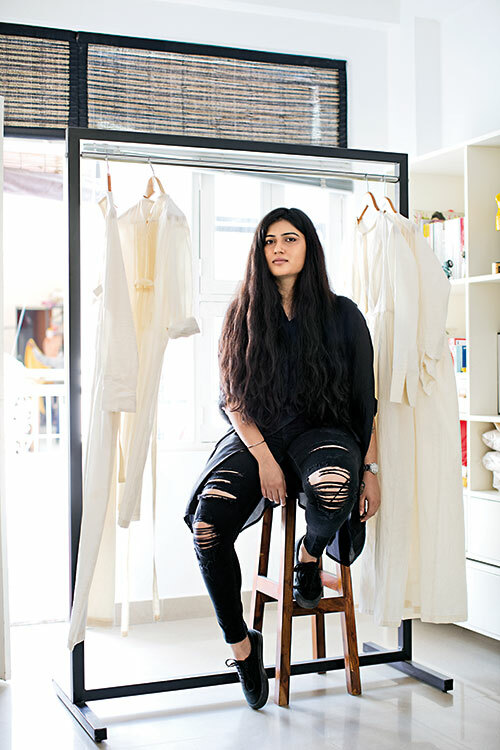 You don’t have to be a fashion savant to know that putting together an ensemble is an art, one that Ragini Ahuja has mastered. The popularity of Ikai, which shot to fame with an impressive debut at LFW in 2013, rides on its incredibly practical collections — synonymous with natural fabrics — that exude luxury without any trace of pretence. “We might tweak it here or there but a constant in our lines would be the long ankle-length dress that is easy to wear irrespective of the age group. The label is tailored for a mature audience. I’d say real women with real imperfections and curves can pull off my designs the best,” Ragini asserts. She sums up the Ikai woman as “fearless and someone who knows what she is doing, where she’s headed, how she will wear what”. And if she could pick anyone to walk the ramp for her, who would it be? “Smita Patil and Shabana Azmi,” Ragini replies, without skipping a beat.